Jungheinrich, Still, Liebherr, Wegard, and Witron are the winners of the IFOY Award 2018. They scored highest in different categories. 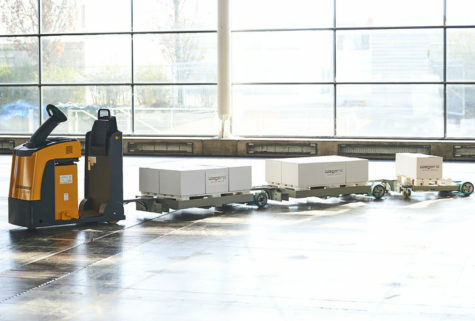 Jungheinrich even won in two categories, namely Special of the Year and Warehouse Trucks. 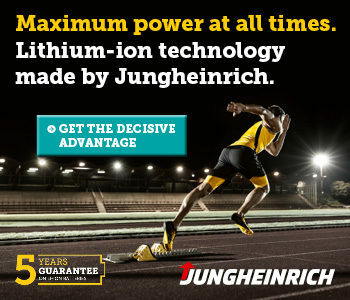 In the latter category, Jungheinrich is shares the award with another winner, Wegard. For the first time in IFOY history, two entries ended at the top with the same number of points . The awards were presented on 23 April at the CeMAT Exhibition in Hanover. 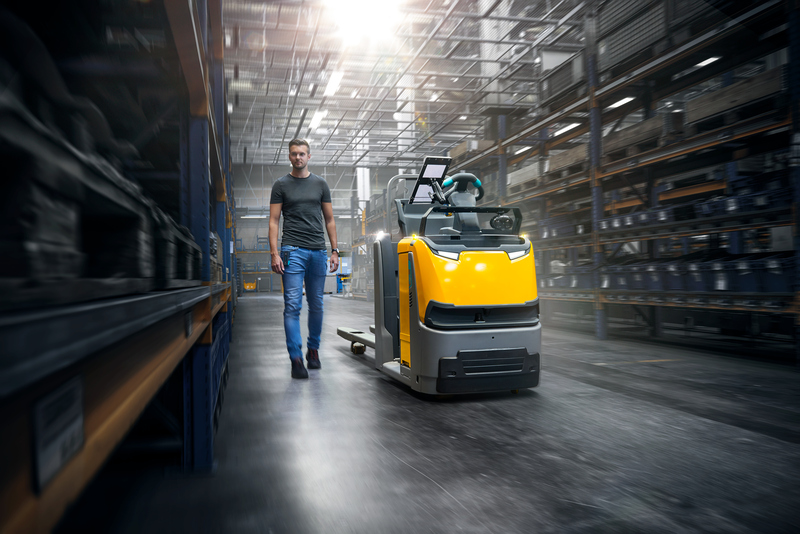 Jungheinrich’s ECE 225, equipped with the new easyPILOT Follow remote control, automatically follows its operator to the next pickup point. The IFOY jury calls this truck very innovative. This applies in particular to the positioning system and the user interface with remote control. “Jungheinrich makes the transition to autonomy easy with the automatic drive control that can be retrofitted to all ECE models,” said the jury. The easyPILOT Follow is much more comfortable and easy to operate than manual remote controls. 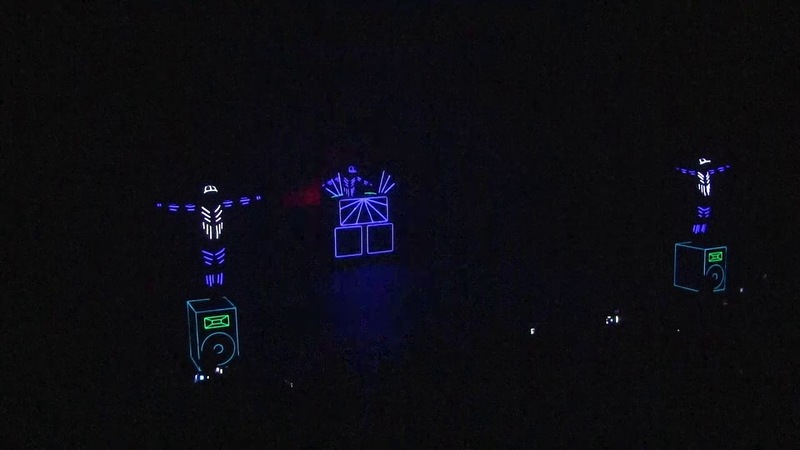 It is also easy to change sides in aisles. 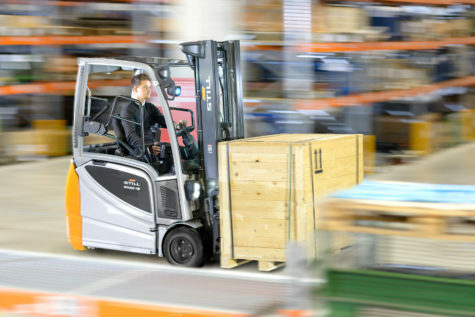 The operator carries the control unit in a pocket or on the belt and the system automatically connects the remote control to the vehicle. The connection is completely reliable, thanks to radio technology. Optical and other obstacles between vehicle and driver do not constitute interference. The IFOY test shows that the system is very robust and reliable. Test data also confirmed the improved pick performance. The second IFOY Award in the Warehouse Truck category is handed over to the Wegard Trail. 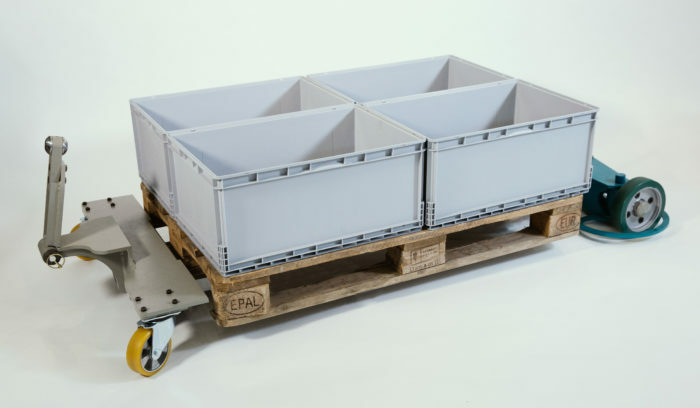 This modular ‘tugging train’ from Wegard is the first to use autonomously electronically controlled axes with angle detection. Thanks to this modular axle, no central control is required, the traction force is increased and the train can be coupled to all tractors up to 1000 kilos. “With the new axle, Wegard solves the problem of the directional stability of tractors. For the first time, driving manoeuvres such as lateral parking, shunting and reversing are possible,” according to the jury. The IFOY Innovation Check confirms the significantly improved adaptability and flexibility of the system compared to mechanical steering clutches. The IFOY jury also praises the accuracy of Wegard Trail, as well as its simple connection without a data cable. Still’s brand new electric forklift RX 20 with a capacity of 1.6 tonnes wins IFOY’s award in the forklift category. 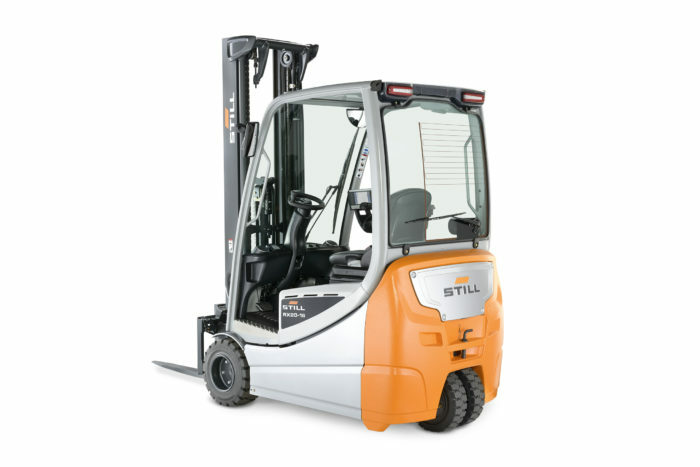 The truck is praised as an all-rounder for indoor and outdoor use. 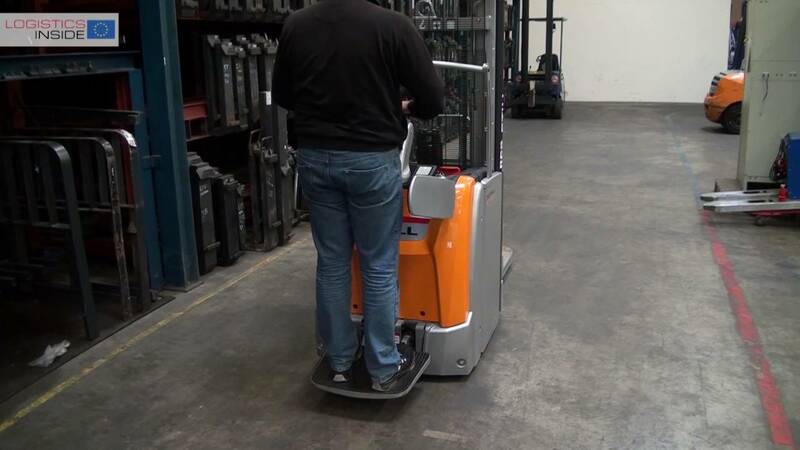 It is fast, quiet, manoeuvrable and ergonomic and has no problems with ramps. “In addition, the use of lead-acid batteries with circuit A or B in a compact counterbalanced lift truck is a remarkable technical achievement,” according to the jury. 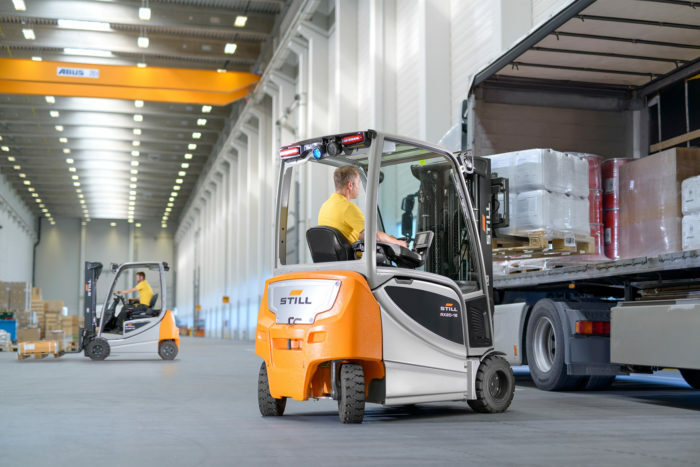 With a lifting height of 7.5 metres, the truck can handle almost all typical tasks In addition to that it is perfectly suited to narrow aisles and is a sprinter with a top speed of 20 km/h. Speed, acceleration and electric braking power can also be adjusted in any travel program as required. 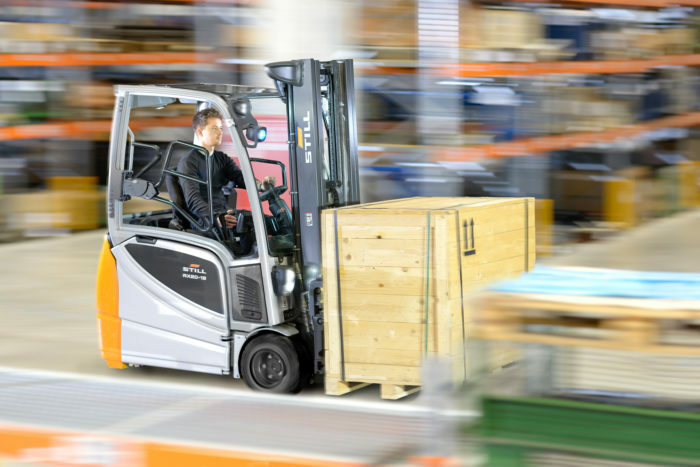 With the push of a button, the driver can choose between energy-efficient driving and maximum load capacity. 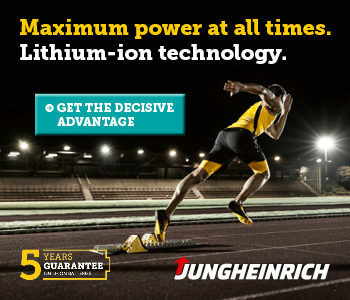 With the large 931 Ah Li-Ion battery it is possible to use it for almost 14 hours in the maximum drive mode and 18 hours with eco use. The battery can be changed sideways quickly and easily. The truck is extremely quiet and easy to operate, as proved during the IFOY Test. Despite its compact dimensions, the workplace is spacious and offers excellent visibility through and along the mast and all around. The newly developed EASY Control Display and Control Unit has a graphic colour display with automatic brightness control. The display provides the driver with all the necessary information at a glance. 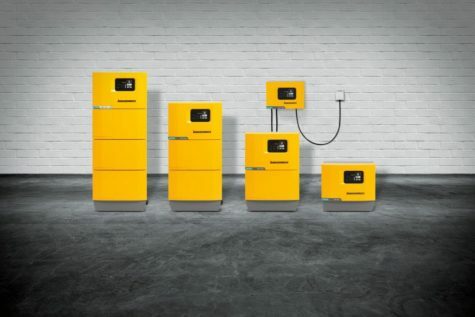 The new SLH 300 high frequency chargers from Jungheinrich won the award in the Special of the Year category. These chargers for lead-acid and lithium-ion batteries (SLH 300i) offer a wide voltage range, numerous options and a high efficiency. 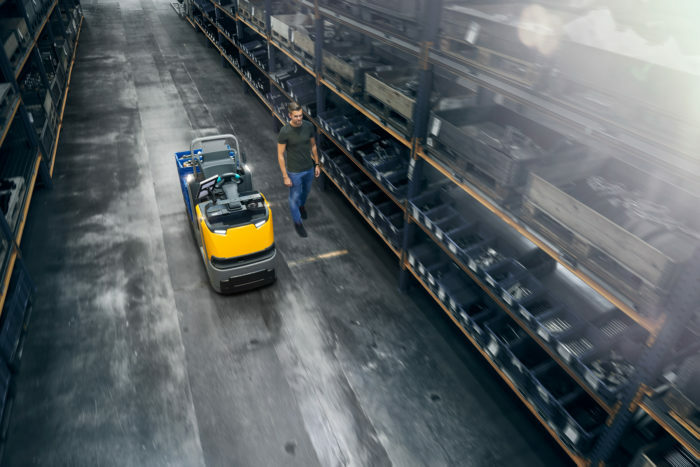 The chargers are produced internally by Jungheinrich and form an integral part of the Jungheinrich system solution: a total package of truck, battery and charger. Thanks to a carefully considered range of variants, the loader can achieve an optimum price/performance ratio for every application. The IFOY award in the category Integrated Warehouse Solutions goes to Witron Logistik + Informatik for the Migros Distribution Center Suhr in Switzerland. Witron has been able to combine the order picking of small volumes of migrolino with the activities of the Migros subsidiaries. Migrolino, a subsidiary of Migros, is one of the leading providers in the Swiss convenience market. 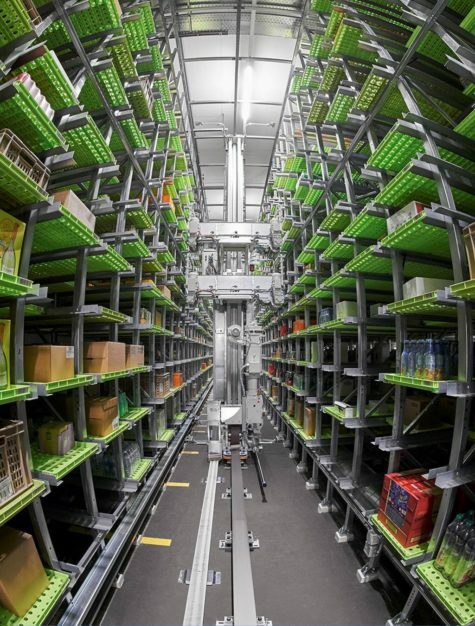 The omnichannel logistics centre delivers more than 300,000 items on peak days to more than 600 Migros branches and also more than 118,000 pick units to migrolino stores at petrol pumps and train stations. 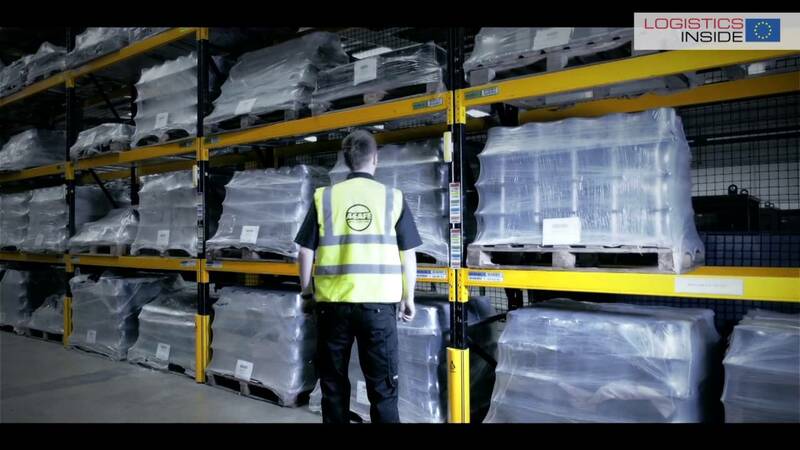 In particular, the order picking performance was improved by a factor of 3 compared to a manual warehouse. In addition, there is room for growth of up to 9 to 20 million picks per year. 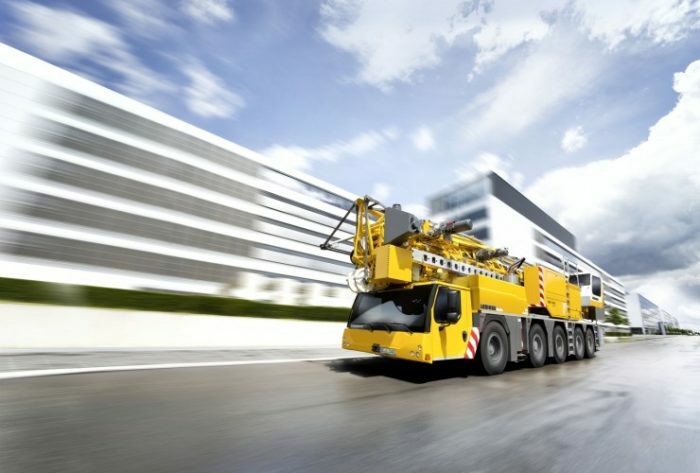 The winner in the new IFOY category Crane and Lifting Appliance is Liebherr’s MK 140 electric mobile construction crane. 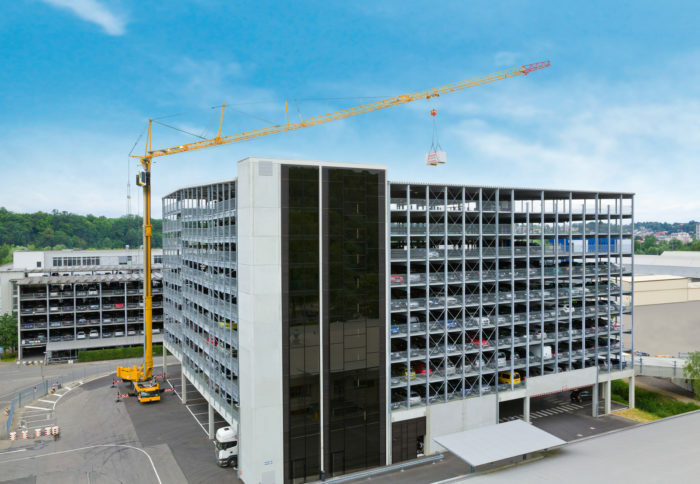 The 5-axis model with VarioJib and status detection for set-up is only 15.97 metres long and is the first crane to combine trolley mode for maximum handling and hoisting mode for special operations. This crane symbol reaches lifting heights of up to 94 m.
The VarioJib concept was decisive for the jury, setting a new standard for Liebherr in the mobile construction crane segment. “With the MK 140, the company is at the forefront of efficiency and innovation and also offers significant added value compared to its competitors,” according to the jury.